Hebrides Painting & Prints - Scottish landscape painting of The Hebrides, Scotland. Original painting of Turquoise Horizon, Hebrides, Scotland. A mix of mediums are blended, layered, scraped and splattered over the canvas to create a very unique & atmospheric painting, depicting the ever changing wild weather that constantly sweeps across Scotland’s Hebridean islands & Highlands from The Atlantic. 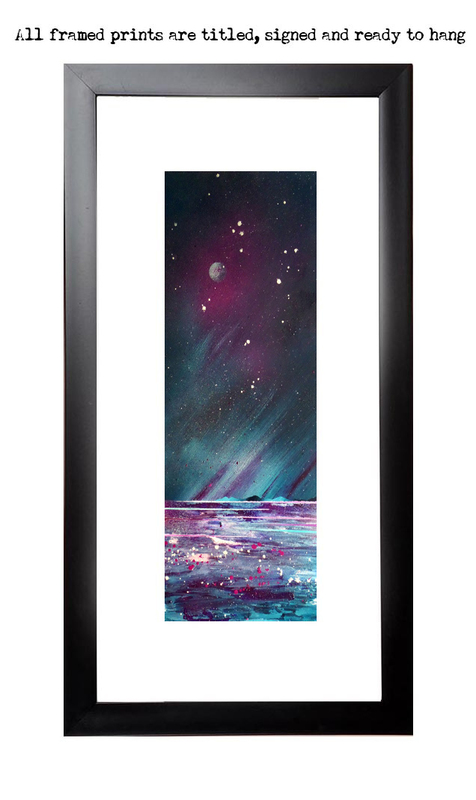 Paintings & Prints - Turquoise Horizon, Hebrides, Scotland.